To take action like this at a time when we’re turning away refugees fleeing for their lives is abhorrent and Europe should be opening their hearts and their borders to all the innocent people caught up in this. It breaks my heart we haven’t increased the number of refugees we’ll accept, yet we’re going to kill and displace thousands more innocent people who have no where to go. 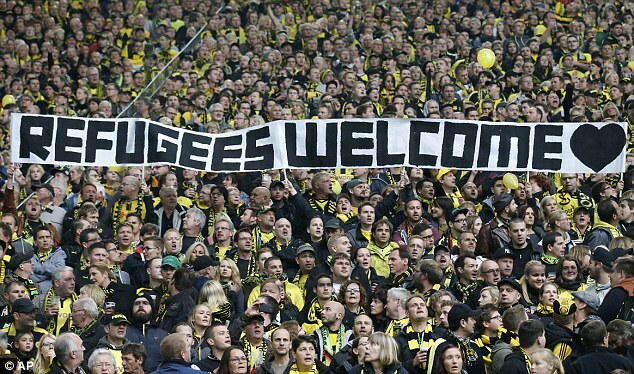 In a time where we have repeatedly been told we don’t have the means to welcome refugees into our country and our finances are so bad we’re cutting down our public services to the bare bone, suddenly the government has found a pot of gold and will use it to drop bombs onto a country that has already been ravaged and terrorised by war and destruction for the past five years. Syrian civilians are between a rock and a hard place. With the strict regime of Assad and the constant threat of the IS themselves, many lie in bed at night fearing for their lives. Since 2011, over 11 million Syrians – that is over half the total population – have been killed or displaced by the civil war. According to the UN, life expectancy in Syria has been cut by 20 years. The UN also predicted that by the end of 2015 there will be 4.27 million Syrian refugees. Our actions in parliament last night are only going to add to these numbers. People are so terrified of death that they have paid over entire life savings to be packed into rubber dinghies and spend 2-3 days with no fresh water or food praying they don’t drown. In September we were horrified by photographs of Aylan Kurdi, a tiny Syrian boy, washed up on the shores of a Turkish beach. How quickly people seem to forget what war does. This year more than 2,600 people have drowned in the Mediterranean trying to reach Europe by rubber dinghy. The vote in parliament yesterday must’ve been one of the hardest decisions our current set of MPs will ever have to make. I was, and after listening to the entire debate yesterday, still am 100% against the air strikes but now instead of getting angry, I’m pleading with our government to open our borders. Get Europe, the United States and Canada to open theirs. Between us ALL there is plenty of room. If killing and displacing potentially thousands more people we need to welcome them in, not dismiss other fellow humans who bleed as badly, scream as loud and ache as much as we do at the hands of terror. A powerful speech made by Tony Benn 23 years ago on military action in Iraq has been clocking up millions of views over the past few weeks. Almost a quarter of a century later it still resonates. “I was in London in the Blitz in 1940… Every morning I saw the Docklands burning, 500 people were killed in Westminster by a landmine, it was terrifying!” During World War II strangers opened their doors to mothers and their children from big cities, from a totally different world, to protect them from the bombings. Because they were innocent bystanders, they deserved protection. We Brits are known and proud to stand up for what is proper. So if Cameron et al really truly feel that air strikes are our only hope of beating IS – then it is only proper that we push our doors wide open and welcome in every single person we can to keep them safe and give them the love, protection and hope that a country terrorised by war is currently unable to do. We do have the space. We do have the money. You’ve made the bed Cameron, so bloody well lie in it.